Nice to see you've found your mojo again. Yep good to see you playing with paper again. Love the papers and the colours Lorraine. Yay, she's scrapping again. Nice one, Lorraine. 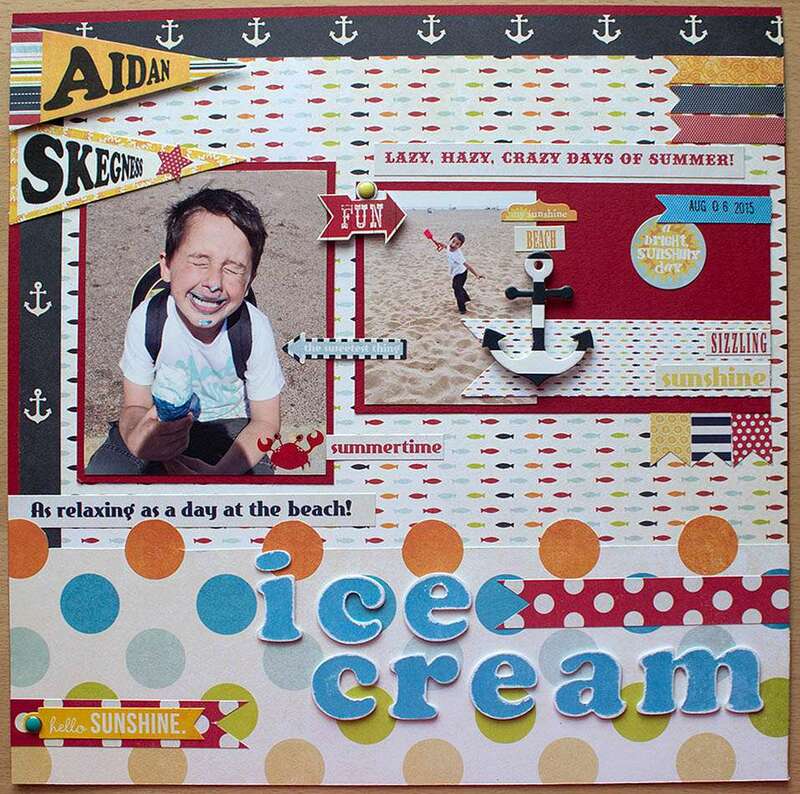 Fab layout and how did you do the Aidan and Skegness lettering? Photoshop, Ruth. Using the perspective tool.